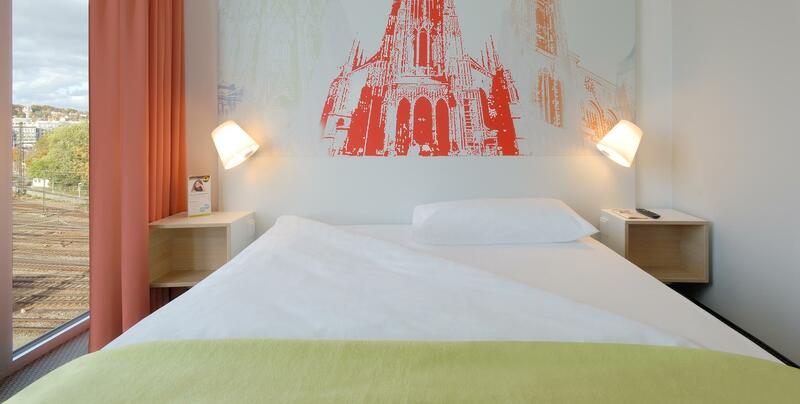 The B&B Hotel Ulm offers 124 modern and cost-saving single, double or family rooms for up to four people. You can access your freshly designed room quickly and easily by elevator. 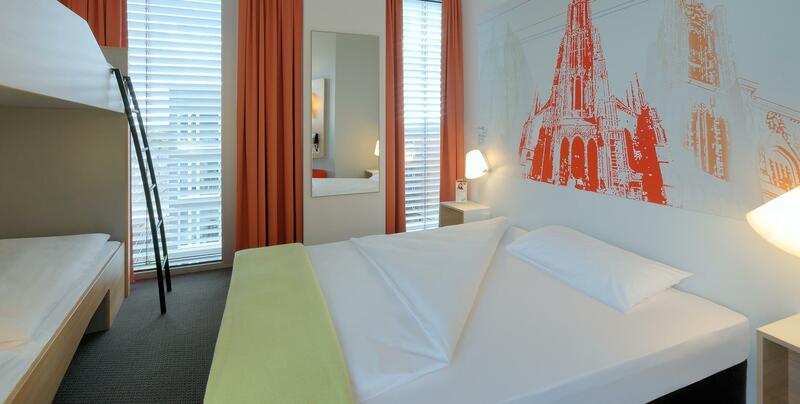 Air-conditioned rooms guarantee comfortable temperatures and soundproof windows ensure your peaceful sleep. In your room you can find a telephone, a television and a desk. Your bathroom is equipped with a shower, WC and a wash-basin. 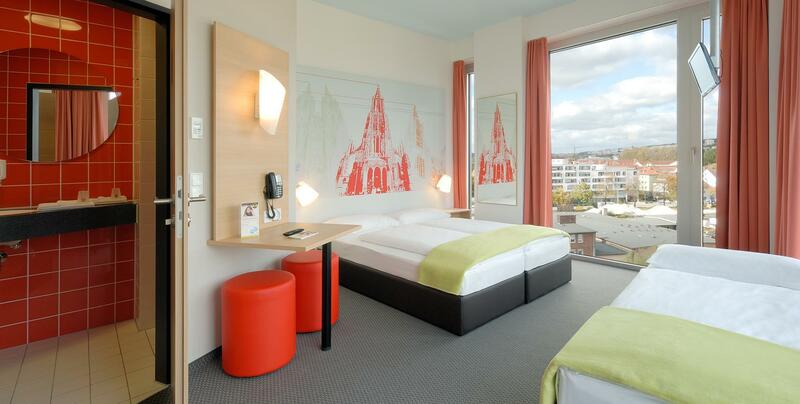 Free extras: In your room you can enjoy free WiFi and Sky-TV. Additional services: Book the breakfast in addition to your overnight stay. In case of small stomach growling, you’ll find snack vending machines in-house. You also want to bring your pet along? No problem: it’s only a small fee. 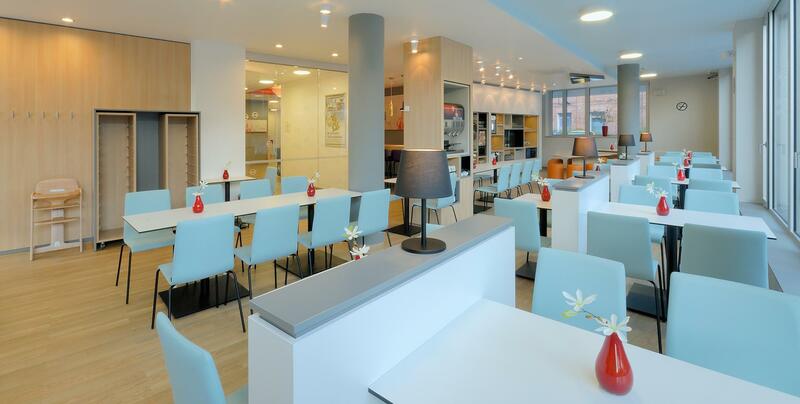 Whether on business, with your partner or family, the B&B Hotel Ulm is the right place for a comfortable and an affordable stay. Der Eingangsbereich ist nicht besonders einladend. Mittelmäßige Anbindung mit dem Auto und Parkplätze. Gut geführt, mit professionellem Service und tollem Housekeeping und Empfang. 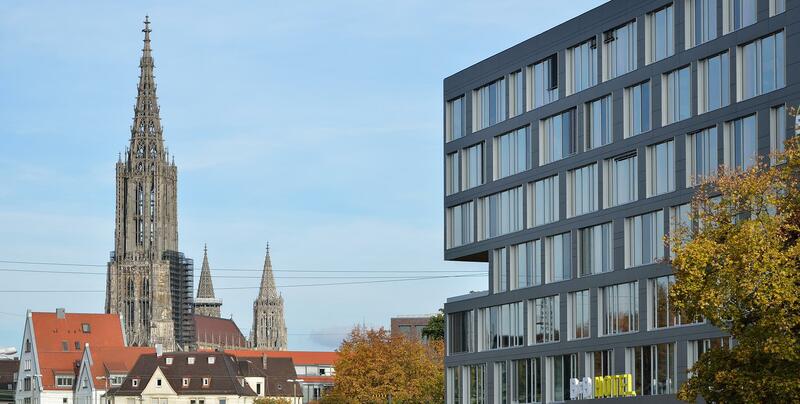 Saubere, moderne Zimmer mit guten Möbeln und einer schönen Aussicht. Die Betten in den kleinen, recht gut gepflegten Zimmern sind in Ordnung. Unzureichend bewerteter Fernseher und nur mittelmäßige Klimaanlage.